Bellfix disc polyamide brushes with integrated grinding and polishing mediums in varying grains for effective finishing, pre-polishing and high gloss without the additional use of grinding mediums, chemicals or pastes. 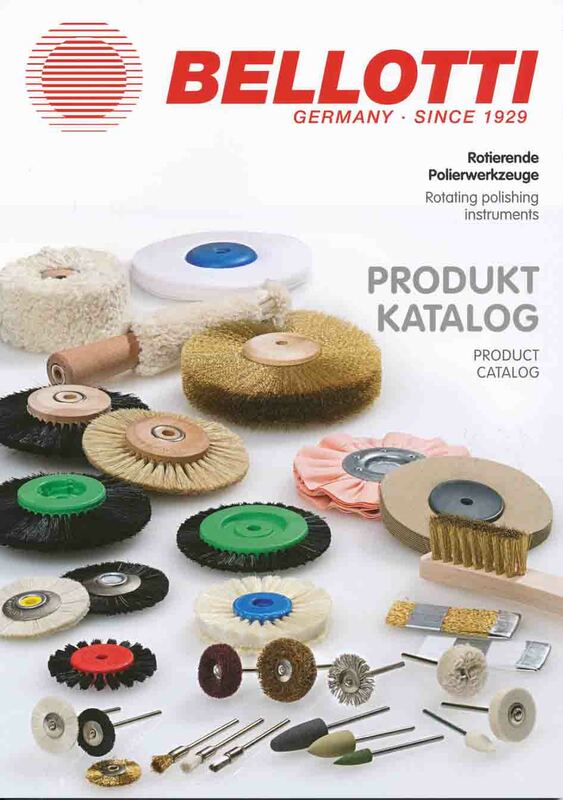 Bellfix/Bellfila brushes with polyamide fibre coating: embedded silicone carbide or aluminium oxide make all polishing pastes and media superfluous. Different grades and shapes (cup, brush, wheel) for plastic trim and dental ceramics.